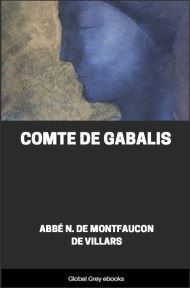 The Comte De Gabalis is a sacred text for Rosicrucians and spiritual adepts. 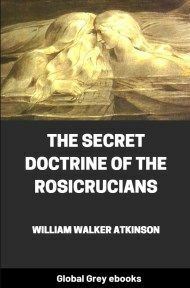 It is composed of five discourses given by a Count or spiritual master to the student or aspirant. It was anonymously published in 1670 under the title Comte De Gabalis. 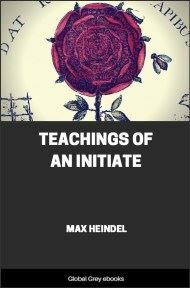 The meaning suggests the Count of the Cabala as the text is cabalistic in nature. The "Holy Cabala" is mentioned explicitly throughout. The first English translation was rendered in 1680. Only in later publishings did the name Abbé N. de Montfaucon de Villars become attached to this work as being its author. MAY the soul of the Comte de GABALIS be now in the presence of God, for they have just written me that he has died of apoplexy. The Amateurs will not fail to say that this manner of death usually befalls those who deal incautiously with the secrets of the Sages, and that since the Blessed Raymond Lully so decreed in his testament, an avenging angel has never failed promptly to wring the necks of all who have indiscreetly revealed the Philosophic Mysteries. But let them not condemn this learned man thus hastily, without having received an explanation of his conduct. He revealed all to me, it is true, tut he did so only with the utmost cabalistic circumspection. It is necessary to pay his memory the tribute of stating that he was a great zealot for the Religion of his Fathers the Philosophers, and that he would rather have gone through fire than have profaned its sanctity by taking into his confidence any unworthy prince, or ambitious or immoral man, three types of persons excommunicated for all time by the Sages. Happily I am not a prince, I have but little ambition, and you will presently see that I have even a trifle more chastity than is requisite for a Philosopher. He found me to be of a tractable, inquiring, and fearless disposition. A dash of melancholy is lacking in me, else I would make all, who are inclined to blame the Comte de GABALIS for having concealed nothing from me, confess that I was a not unfit subject for the Occult Sciences. One cannot make great progress in them, it is true, without melancholy; but the little that I possess in no wise disheartened him. You have, he told me a hundred times, Saturn in an angle, in his own house, and retrograde; some day you cannot. fail to be as melancholy as a Sage ought to be; for the wisest of all men, as we learn in the Cabala , had like you Jupiter in the Ascendant, nevertheless so powerful was the influence of his Saturn, though far weaker than yours, that one cannot find proof of his having laughed a single time in all his life. The Amateurs must, therefore, find fault with my Saturn and not with the Comte de GABALIS, if I prefer to divulge their secrets rather than to practise them. If the stars do not do their duty the Comte is not to blame for it; and if I have not sufficient greatness of soul to strive to become the Master of Nature, overthrow the Elements, hold communion with Supreme Intelligences, command demons, become the father of giants, create new worlds, speak with God upon His formidable Throne, and compel the Cherubim who guards the gate of terrestial Paradise to let me stroll now and then in its alleys, it is I, and I alone, who am to blame or to be pitied. One must not, on this account, insult the memory of that rare man by saying that he met his death because he taught me all these things. Since the fortunes of war are uncertain, is it not possible that the Comte may have been overcome in an encounter with some unruly hobgoblin? Peradventure while talking with God upon His flaming Throne, he could not keep his glance from straying to His face, now it is written that man may not behold God and live . Perhaps he merely pretended to die, as is the way of Philosophers, who feign death in one place, only to transplant themselves to another. Be that as it may, I cannot believe that the manner in which he entrusted his treasures to me merits punishment. This is what took place. As common sense has always made me suspect the existence of much claptrap in all the so-called Occult Sciences, I have never been tempted to waste time in perusing books which treat of them nevertheless it does not seem quite rational to condemn, without knowing why, all those who are addicted to these Sciences, persons often perfectly sane otherwise, and for the most part scholars, distinguished at the law and in society. 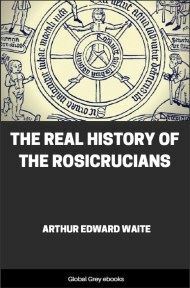 Hence to avoid being unjust, and in order not to fatigue myself with tedious reading, I determined to pretend to all whom I could learn were interested in Occultism, that I was infatuated with it.